BJ Creative was tasked by Alex Brounger to build a website for his hypnotherapy business. He wasn't looking for an expensive solution in the short term but would like to know that he was not locked down from the start. 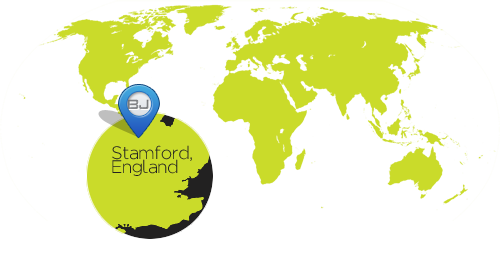 Being based in Stamford with our client in Gloucestershire, the first contact for the web design was a conversation to understand what he wanted to achieve and the specifics of his request. We began the project by working up some ideas for Alex to review. He had very strong ideas from the start and knew in what direction he wanted the project to go. Alex came to us with his own logo and we digitised this so that we could use across a platform or software programs and also provided him with a central repository where he could access his logo in differing formats should he wish to have some more work done externally. As usual, we worked up some static images for Alex using Fireworks so that we could quickly alter any of the graphics that he was not happy with or wanted relocated to somewhere else. We played with many colours and combinations to get the correct balance for the website and once Alex was happy, we began the build process. Alex was very keen to hear about the way that we would build the site to get the best possible start with Google in terms of rankings. He was open to our suggested hosting providers and did not feel that we led him down the wrong path. We built the site using ASP.NET 4.0 and incorporated a contact page and used Master Pages throughout the site.